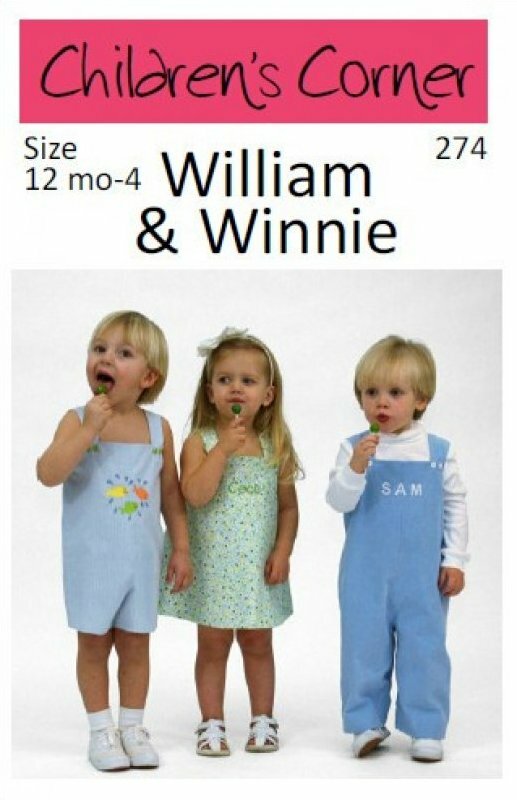 William and Winnie is a short romper for boys a long romper for girls or boys and a jumper for girls. All outfits are completely lined. It buttons in front and has sizes 12 mo 18 mo 2 3 and 4 in one package.